Descriptors Eurocode 7 applies to the geotechnical aspects of the design of buildings and civil engineering works. c) interpretation of test results. d) examples on how to derive values of geotechnical parameters from the test results. 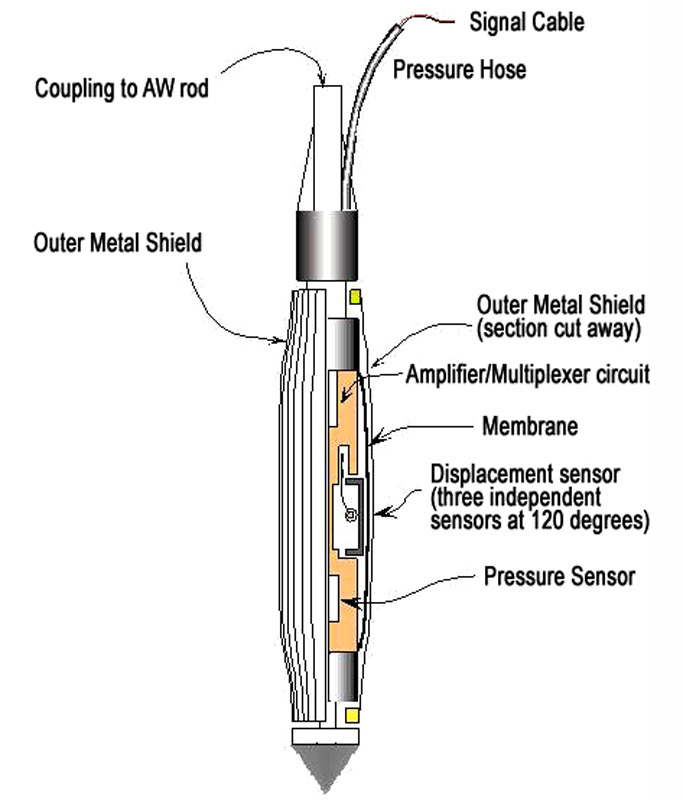 Pressuremeter testing was invented by Louis Menard in France in the mid 1950’s. The standard “Menard” pressuremeter is a cylindrical instrument fitted with a flexible rubber membrane, which is lowered into a pre-bored hole and then expanded against the borehole sidewalls.